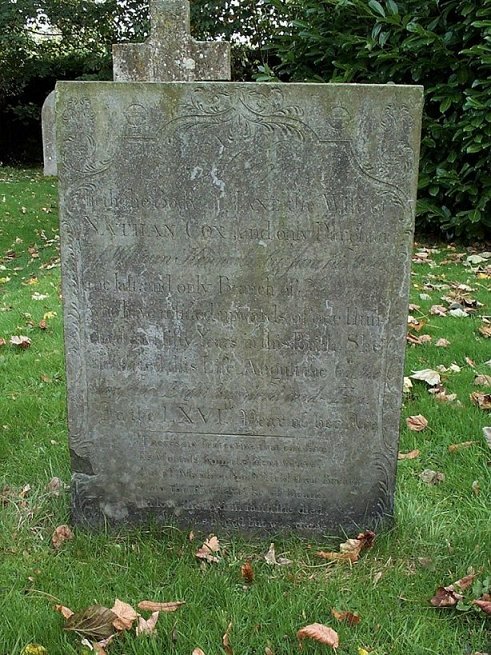 Here lieth the Body of Jane the Wife of Nathan Cox, and only Daughter of William Kennerly by Jane his Wife, the last and only Branch of the Kennerly who have resided upwards of one Hundred and fifty Years in this Parish. She departed this Life August the 6th One thousand Eight hundred and Two In the LXVIth Year of her Age. Unto the Fatal stroke of Death. Her life was begg’d but was denied.